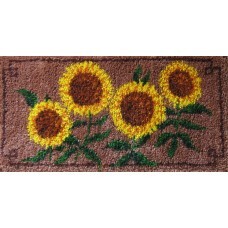 Golden sunflowers latch hook rug kit with hand painted canvas in Romney rug wool. Size 46cm x 91cm (18in x 36in). Kit includes canvas, cut p..